The news of Jarno Trulli’s exit from Formula One is truly sad. Many will argue that his fall from grace happened years ago and that perhaps it may not be a surprise to see CaterhamF1 go with a younger talent. Vitaly Petrov who had until now, looked to be spectator, finds himself with a race seat at Caterham. At the age of 27 he is much younger than the man he replaces. 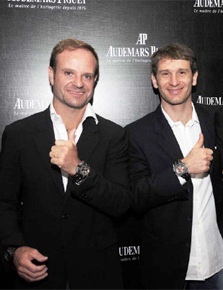 This article is not about Petrov though, I want to take a moment out to pay tribute to Trulli. Jarno is 10 years the elder of Petrov and has been in the sport since 1997 roughly if memory serves me. He has served many teams well including Renault, Toyota, Prost, fan favorite Jordan and everyone’s favorite underdog team Minardi. In a year dominated by Ferrari and drivers Schumacher and Barrichello, luck and talent took Trulli to the top step of the podium at the storied Monaco GP in 2004.
and Alex Zanardi to name a few. Sadly this is the end of an era, much like it was earlier when Williams decided to sign Bruno Senna in the place of Rubens Barrichello. Times change as does the sport and those within it. We as fans can appreciate new talent and the changes new faces bring. We can also appreciate those who leave the sport whose names we will always remember. I for one will always remember Trulli. I met him twice. The very first time in 1998 in Montreal at BuonaNotta, a great Italian resto/bar. He had a plate of pasta in front of him stacked high enough that I barely made out his face. The second time in Indianapolis the night before the US GP in 2006 (ran into Alonso that same night). I’ll try to dig up the pictures, including the one of him rolling into circuit on his motorcycle. Both times, he was super nice to me. He kept things short, but was very approachable and smiled a lot. And that to fans, is all we really want. A chance to say hi and shake hands with the heroes we watch every GP weekend. Goodbye Jarno and good luck with whatever you choose to do with your time from this moment forward. I agree that the manner of Trulli’s departure is sad. He’s surely have won more races if his relationship with Briatore hadn’t gone wrong in 2004 and he’d stayed with Renault. His stint with Toyota and their lack of ability to produce a winner surely hurt Trulli’s market value. Perhaps not the number one status type driver, but a solid driver at times that might have been able to win a few races.